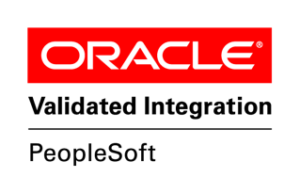 Oracle’s PeopleSoft Campus Solutions is the leading student management system. A top choice for higher education, Campus Solutions offers a flexible technology stack that can integrate various university systems and departments. What was once thought of as operating in a silo becomes unified and connected. A university can have a relationship with an individual that lasts for decades. Today’s systems need to harness this information to support decisions across the enterprise. SkyBridge utilizes PeopleSoft Campus Solutions to provide a seamless, robust integration of information, served up in action dashboards. University IT departments service a wide variety of audiences and stakeholders. This is most visible with student lifecycle management: from prospective students, through enrollment, to on campus experience, and continuing with alumni management. Campus Solutions 9.2 is an innovative release that offers enhanced system architecture flexibility to higher education institutions. 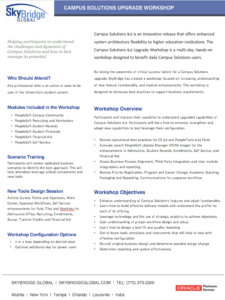 The Campus Solutions 9.2 Upgrade Workshop is a multi-day, hands-on workshop designed to benefit daily Campus Solutions users. By raising the awareness of critical success factors for a Campus Solutions upgrade, SkyBridge has created a workshop focused on increasing understanding of new feature functionality, and module enhancements. This workshop is designed to showcase best practices to support business requirements. Learn how to build effective delivery models and understand the profile for each of its offering. Leverage technology and the use of strategic analytics to achieve objectives. Gain understanding of proper workflow design and setup. Learn how to design a best-fit and quality reporting. Get to know tools, templates and instruments that will help to deal with effective configuration. Re-visit original business design and determine possible design change. Determine reporting and system effectiveness. As we expand into the 21st century, the campus experience has shifted and evolved. This transition impacts students, as much as faculty. Our experience as citizens and consumers have changed the way we interact with organizations. Just as big brands are focused on user experience, and using technology to innovate, universities across the country are doing the same. PeopleSoft Campus Solutions is supporting universities by improving admissions, on campus learning, alumni relations, and an overall operational efficacy with IT budgets and investments. University capabilities to provide student learning experiences are much different today than 10-15 years ago. The advancements in how students learn and communicate with their classmates and professors is radically enhanced from a hardware and application capability. Today’s students demand access to their learning environment and university information systems across a variety of platforms: classroom, desktop, mobile. This allows students to access information regardless of time, geography, or device being used. Facility and administrators require tools that promote the success of students and meet accountability requirements. This includes evaluation of admission targets, to identification of students at risk, to management of institutional accreditation. As campus and department budgets tighten, higher education administration is changing. Using data to perform consistently and predictably is an operational necessity. Getting the most out of these tools requires strategy, planning, and organized execution. Whether implementing Campus Solutions, or upgrading to Campus Solutions 9.2 you’re providing campus departments with the tools they need. To ensure budget and opportunity is maximized, the Strategy and Advisory group at SkyBridge works to development governance and operational protocols. Campus Solutions features many built-in integration opportunities between Campus Solutions, and other Oracle and PeopleSoft products. This is further enhanced by combining a Service Oriented Architecture (SOA) and a number of frameworks and constructs. You’re getting a lot built in. You’re also provided the flexibility to ensure other legacy and third party applications are connected. We are experts on higher education PeopleSoft utilization. Our PeopleSoft consultants have an average of 12 years’ experience. Our developers configure Campus Solutions to fit university business goals of today. This includes integrating PeopleSoft modules, modifying or developing as needed, and also integrating other essential third party applications. We take a comprehensive approach to application services, from strategy, through implementation, performance tuning, monitoring, and enhancements. Campus Solution clients are benefiting from the upwards of $5 Billion Oracle annual spend on research and development across the technology spectrum. This investment has helped Oracle customers, regardless of industry in which they operate, to out-perform the competition in areas of efficiency, customer satisfaction and time-to-innovate. Work with these other industries and technology use cases benefits higher education clients when it comes to connecting and unifying departments throughout the university. 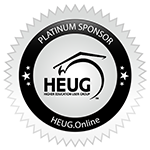 We leverage our platinum partner relationship with Oracle and its enhanced access current and future Oracle capabilities. SkyBridge has been developing and contributing to Oracle’s PeopleSoft framework for 20 years. When the PeopleSoft community needed a bolt-on payroll solution, we developed PayMatch®. PayMatch is our Payroll balancing and testing automation tool provides a very efficient way to validate payrolls after a tax update or system upgrade has been applied. We bring this level of connective strategy and development expertise, allowing us to partner with higher education clients to consult, develop and unify how information is shared among departments. This experience, combined with the technology capabilities of Campus Solutions allows us to provide higher education a full student lifecycle system, from prospective students, through enrollment, on campus experience and continuing with alumni management.